It’s official! 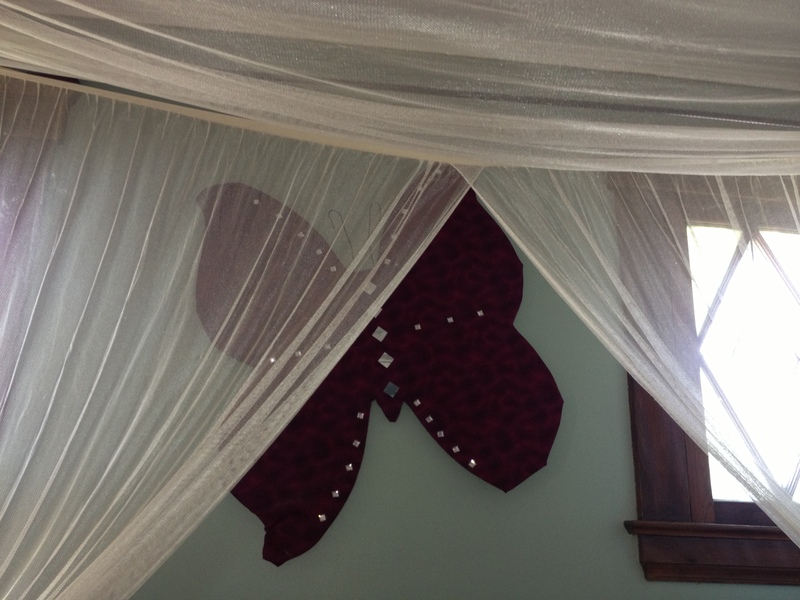 The butterflies are hung, I am home. Change is good, when your prepared. Life is amazing, unpredictable, chaotic, stressful, and full of surprises and it’s one of the reason’s I haven’t written in a while! I never thought that something I was dreading, and nervous about could actually be a positive thing in my life. As I write this tonight, I am sitting in a place where I never imagined I’d be, let alone be ok with it. It’s funny how life works. I have owned a home since 2002 and never set foot inside until two years ago, and just recently I moved in to make it MY home. The past couple of months leading up to the move were filled with doubt and most of all fear. I have learned to trust my intuition so it wasn’t the decision I was doubting, it was whether or not I was strong enough to handle living with it. This change was the right one for me financially and for my family. We were quite cramped in my two bedroom condo, teenagers look like giants in that space! I knew I was doing it for the right reasons, I just wasn’t so sure I could handle the emotional side of it. The house brought back some very painful memories of my divorce and I had been anticipating a lot of tears once I moved in. I had even planned to sit and write an award-winning blog post on that night. I just knew the words would fall off my fingertips along with the tears down my cheek. I kept telling myself… “for tonight, just cry”. (I’d been listening to a lot of Mandisa, link below) Well to my surprise I did not shed any tears that first night or any night since! In preparing for this move I made sure that every room had my touch, things that needed to be removed were removed, items that needed to be changed were changed, and the house is now all ME. I have learned that no matter how scary change may be, preparation is the key. I know things would have been a lot different that night if I had not made changes prior to moving in, but because I did I was able to do it without any emotional scars. We all know that you can get through things a lot easier in life if we are prepared, it also holds true with our emotions. I’ve become very close friends with my emotions over the past few years and I knew in my heart, mind and soul what I needed to get me through this, I just didn’t think it would actually work! As I settle in I’m finding out that I am going to be ok here and I”m reminded so much of what the caterpillar must feel like once it enters the chrysalis and realizes it’s going to be there for a while. I’m in mine right now, it is in this place where I will grow the strongest I have ever been. I know this because it took all the courage I could muster up just to move in. I faced it, I did it and I conquered. I’m here now to learn more about who I am and to grow. As I get to know the different rooms in the home I become changed, empowered and strong. It may sound funny but I think the house and I needed each other. In a sense I am healing the home one little improvement at a time, and in return it is healing my heart by showing me just how strong I really am and in a way it is loving me back. Where the butterflies land….is home. Be a strong caterpillar, don’t fear change embrace it! Have you conquered change? Comment below. This is my first time we visit here. I discovered so many enitneatring things in your blog, particularly its dialogue. From the tons of remarks on your articles, I suppose I am not the only one getting all of the leisure here! Keep up the great work. Thank you so much!!!!! Comments like yours continue to inspire me to keep writing and sharing my story.